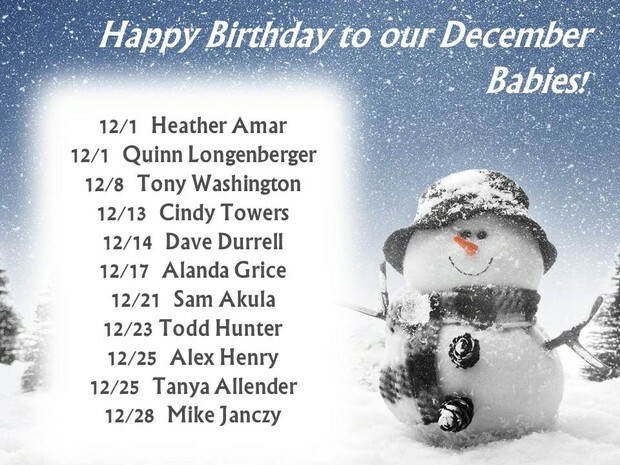 It is hard to believe that December is here and 2015 is about to come to a close. It is a great time to reflect on all the wonderful things that have happened this year. For starters, it has been an amazing year of growth for the company. We welcomed several new clients into JURISolutions’ family and had the privilege of servicing an amazing list of legacy clients as well. Our talent roster has also grown. For example, we added a number of extraordinary subject matter experts to ease the stress our clients are facing in key areas, such as data privacy and industry-specific compliance. It has truly been a year of rewarding success thanks to our unparalleled legal talent and the innovative delivery models that we specifically tailor to address each client’s needs. I personally want to thank all of you for making our success this year possible. Wishing you and your families the happiest and healthiest of holidays! Each month, we will feature one of our fantastic JURISolutions team members so that you can get to know us a little better! 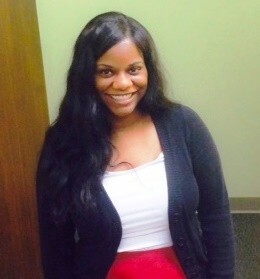 This month, we would like to introduce you to Yvonne Williams, Client Services Associate at JURISolutions. Q. How long have you been with the company and how has your role evolved over time? A. I have been with JURISolutions for 6 years now and my role has evolved greatly over time. When I started my career here, I was primarily focused on various administrative tasks, such as supporting the recruitment team in the vetting of candidates, as well as completing onboarding procedures for new hires. Currently, I am a member of our inside sales team and I am largely responsible for building relationships with prospective clients, as well as executing sales and marketing campaigns. Q. 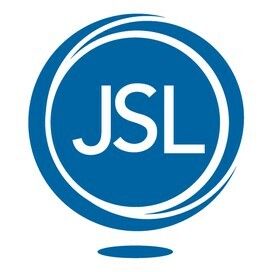 In your opinion, what strengths does JURISolutions have that set us apart from our competition? 1. We take pride in making sure our legal talent undergoes an extensive vetting process, which includes criminal background checks, education/employment verifications, as well as reference checks. This process aids in higher client satisfaction levels. 2. When speaking with prospective clients, they are pleasantly surprised to find out that I have been with JURISolutions for six years. Not only has the company been in business for almost 20 years, but internally we have a large number of employees that have been loyal and dedicated to our organization and our mission for five, ten and even fifteen plus years. Generally, in the staffing and recruitment industries, it is rare to find employees who are committed to growing with their company in the long-term. We are fortunate that, over the years, many of us at JURISolutions have excelled in our roles, expanded the scope of our responsibilities and skill sets, and have truly become experts in the industry. Q. As the year comes to a close, what trends do you expect to see in terms of client needs in 2016? A. Over this past year, I have had various discussions with prospective clients, and some overall themes that I have noticed include the need to: streamline processes, figure out better ways to manage documents, and insert a contract management system into the equation. Every legal department has contracts that are in need of review, negotiation and drafting, but the proper resources may not always be in place to make sure these tasks are being completed in an efficient and cost-effective manner. This is where JURISolutions can effectively step in and offer our clients creative solutions to help manage this workflow. I expect to see a similar trend in 2016, though as we continue to develop new strategies for servicing our clients’ needs, I am excited to see the different ways we are able assist our clients in the New Year! Welcome to the JURISolutions Family! A big JURISolutions welcome to our newest team member, Rachel Shapiro, who joined our family at the end of November. Rachel comes to JURISolutions with ten years of legal recruitment experience. 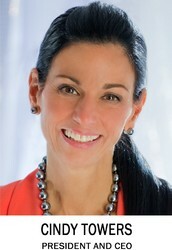 Approximately five of those years were spent primarily on lateral partner placements, which will be an area of focus in her role at JURISolutions. In joining the recruitment team, Rachel states, "I am excited about the ability to work on a national level, as well as the ability to cross sell other services to my clients." In her spare time, Rachel enjoys cycling, working on renovation projects in her 150 year old house in the Italian Market section of Philadelphia, and hiking with her dog, Zacky Bear. Rachel can be reached at rshapiro@JSL-HQ.com. We are all very excited to have you on board! 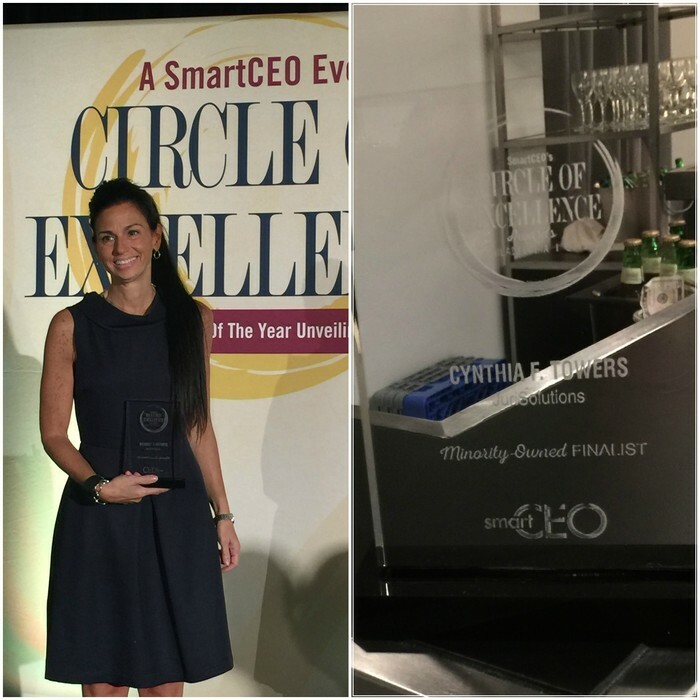 Congratulations to JURISolutions' President & CEO, Cindy Towers, for being a 2015 Philadelphia Circle of Excellence Award Finalist! The Circle of Excellence Awards program recognizes the region’s most accomplished CEOs for business excellence in distinct categories. Companies are nominated from all size and industry categories, public or private. Each year, an independent committee of local business leaders selects the winners based on their industry impact and market leadership. 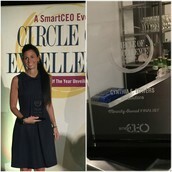 As a Finalist, Cindy was profiled in the November/December issue of SmartCEO magazine and celebrated at an awards reception on November 5th at the Radisson Blu Warwick Hotel in Center City. Click here to read more about JURISolutions and the Circle of Excellence Awards. "Receiving an offer is just another step in the process of securing a better job. There is still work to be done!" - Bob Peterson, Esq., Senior Recruiter for Attorney and Paralegal Development at JURISolutions. In Part 3 of “The Little Things Are What Matter Most” job search series, Bob Peterson talks about how to navigate the offer and negotiation stage in an effort to officially land your next big gig. Last month, B.J. 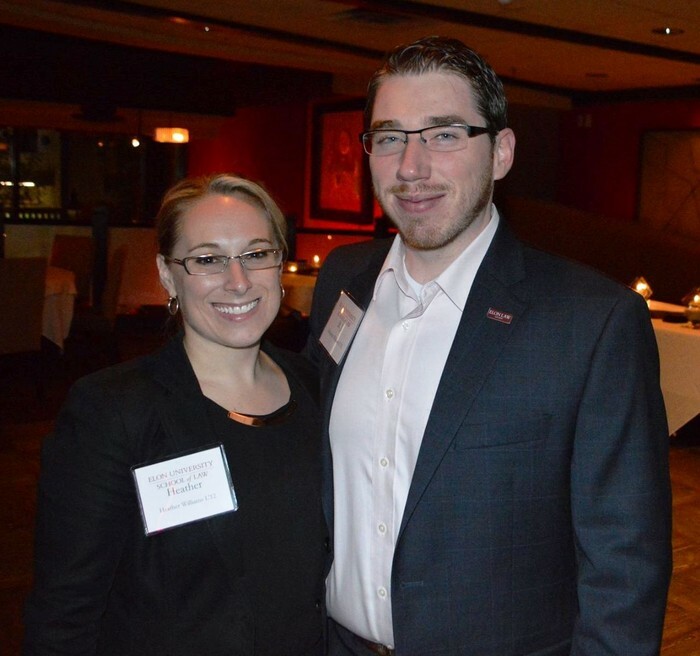 Williams, JURISolutions' Director of Recruitment & Attorney Development Best Practices, and his wife, Heather (pictured), attended Elon Law's Raleigh Regional Alumni Event at Bolt Bistro in Raleigh, NC. B.J. received his J.D. from the Elon University School of Law and served as the Alumni Coordinator for the event. B.J. enjoyed reconnecting with old friends and networking with other Elon Law alumni. This month, Bob Peterson, Esq., Senior Recruiter for Attorney and Paralegal Development at JURISolutions, introduces Part 7 of The JURISolutions Behaviors Program, where he explains behaviors 13 and 14. Our Behaviors Program is an initiative we implemented more than a year ago to help promote the behaviors that we feel are key to the success of our organization. We invite you, a JURISolutions team member, to join us in sharing JSL's vision and help us continue striving for excellence. 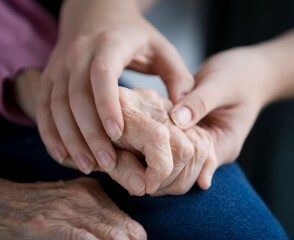 To read about our Behaviors Program, visit our blog and use the password, "Behaviors". Do you have any accomplishment you want to share with us? Let us know by filling out the following form! 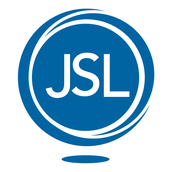 Leigh Novack has been leader within JSL's recruitment team for more than 15 years. In her role, she focuses on attracting, sourcing, and identifying top legal talent throughout the United States. 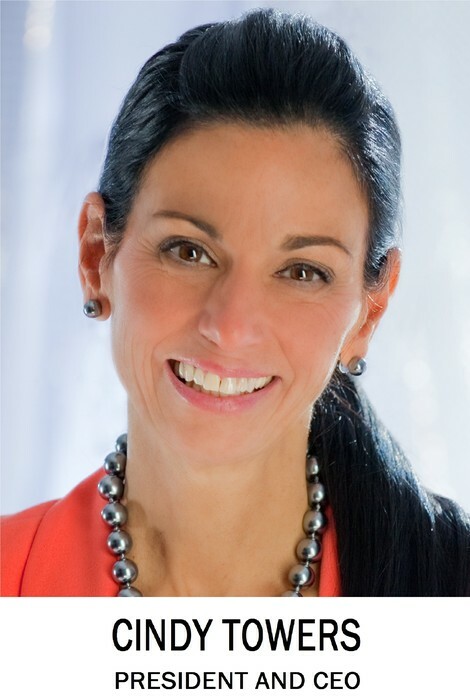 Leigh holds a Bachelor’s degree in Health Policy & Administration from the Pennsylvania State University. Join us each month to get the latest job seeking tips from one of the industry’s finest recruiters. You can contact Leigh at lnovack@JSL-HQ.com with any recruiting-related questions or feedback you may have, and who knows? Maybe your comments will end up on the next episode of The 411 with Leigh! 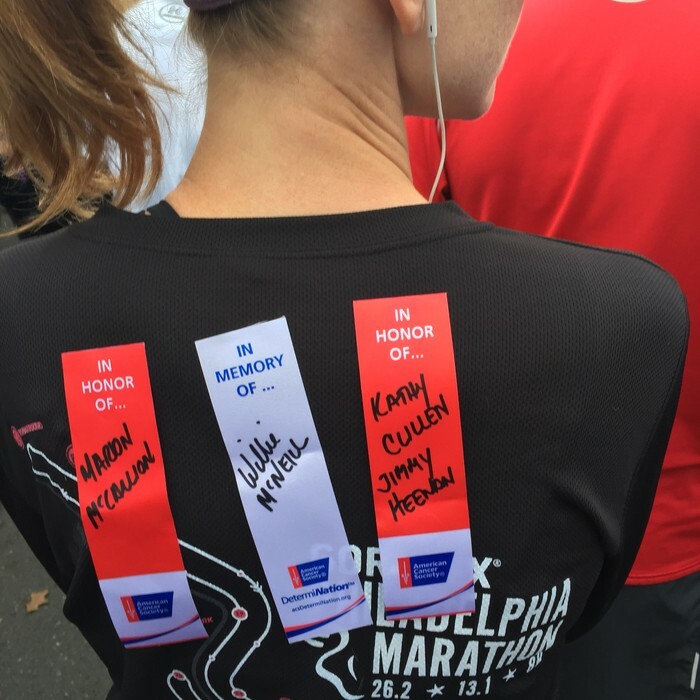 On Sunday, November 22nd, Helen Heenan, Controller at JURISolutions, completed the 2015 Philadelphia Marathon. We are so proud of Helen's accomplishment and we are inspired by her commitment to supporting the American Cancer Society. There's still time to donate! If you are interested in pledging your support to cancer research, please visit Helen's personal fundraising page for more information. While many people generally associate the holiday season with celebrations and family traditions, those affected by long-term illnesses such as cancer may find this time of year especially challenging and stressful. This holiday season, if you or a loved one are struggling with grief, please visit the American Cancer Society's website for some tips and resources to help lift holiday spirits. 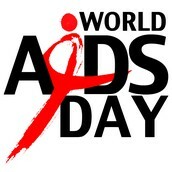 December 1st of each year is World Aids Day, the first ever global health day, when people worldwide unite in the fight against HIV, show their support for those living with HIV, and commemorate those who have died from the virus. This week, people from around the globe celebrated the U.N. declared annual event: World Aids Day Honored from New Delhi to New York. 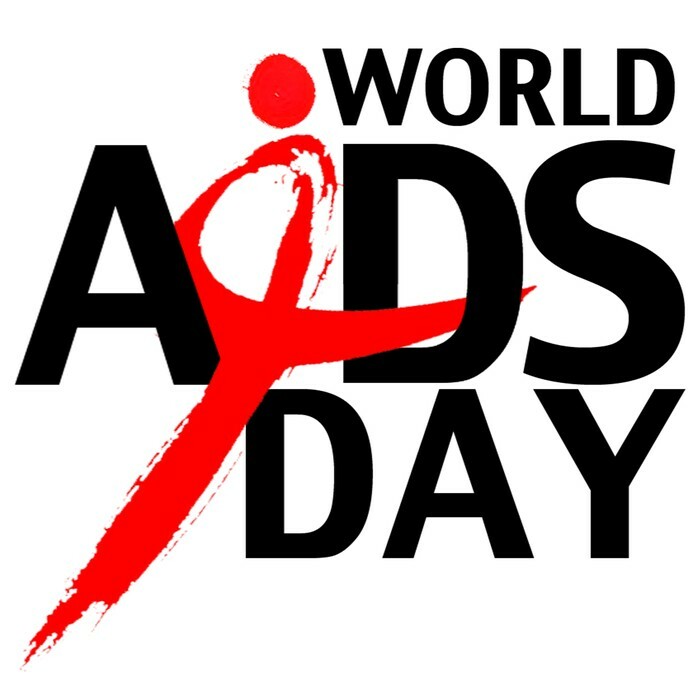 Although World AIDS Day is a great opportunity to talk about HIV, it is important to keep the momentum going all year round. Click here to learn more about the Re-Think HIV movement, or click here for more information on how to donate to the National AIDS Trust. #GivingTuesday, a global day dedicated to giving back, also fell on December 1st this year. Observed on the Tuesday following Thanksgiving (in the U.S.) and the widely recognized shopping events, Black Friday and Cyber Monday, #GivingTuesday kicks off the charitable season, when many focus on their holiday and end-of-year giving. Since its inaugural year in 2012, #GivingTuesday has become a movement that celebrates and supports giving and philanthropy with events throughout the year and a growing catalog of resources. This past Tuesday, an estimated $116.7 million was raised and 71 countries around the world participated. To learn more about this year's efforts or to get involved in future events, please click here. 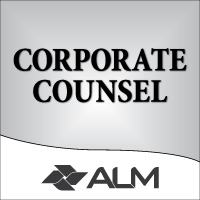 Corporate Counsel will again honor four in-house law departments in our Best Legal Departments special that will be published in the magazine's June 2016 issue. An award-winning legal services firm providing attorneys, staff augmentation and legal search to corporations, law firms and government entities. As an innovative and value-driven source of premier legal talent and strategic processes, JURISolutions enables its clients to cost-effectively fill gaps, broaden capabilities and create efficiencies in everything law.